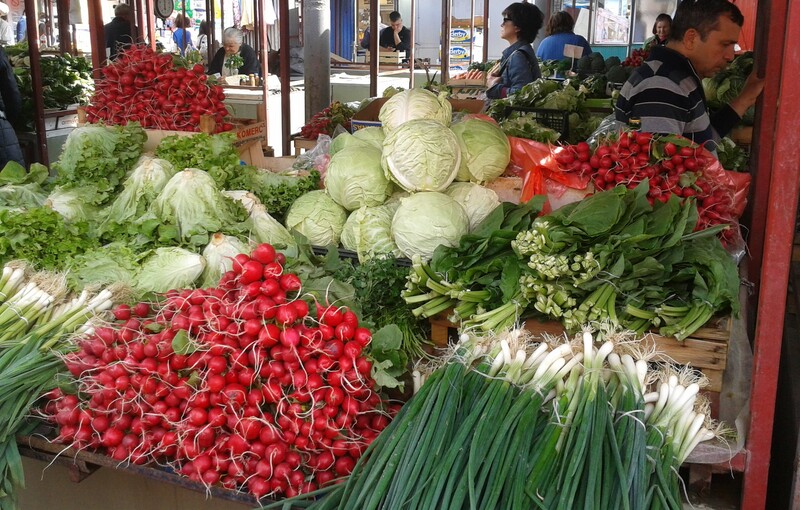 Most people who visit Serbia comment on how deliciously tasty the fresh produce is. If you’d like to roll up your sleeves and prepare lunch or dinner yourself while visiting, we’ve decided to help you uncover some of the best markets to shop directly from growers but also re-sellers. The Serbian word for market is ‘pijaca’, so grab you ‘ceger’ (bag or basket) and make your way across to one of these! Zeleni Venac is in the city centre, convenient to get to and easy to navigate around. Plenty of public transport and literally within walking distance to the Republic Square. Kalenic market, located in Vracar is pretty impressive. It is Belgrade’s biggest open-air market where you can get anything from grilled lobster to kajmak (traditional Serbian creamy dairy product) and fresh produce. You’re really spoiled for choice here. 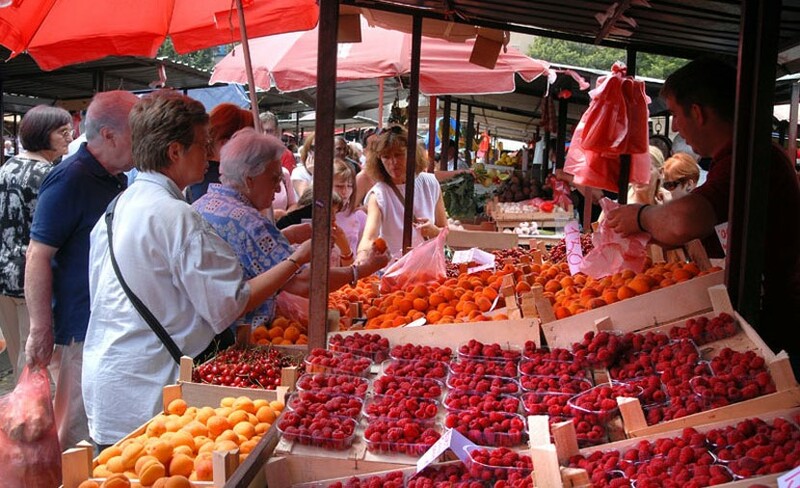 An all time favorite is the Bajloni Market which is in very close proximity to Skadarlija, the bohemian quarter. Located downtown, in Skadarska Street, you’re absolutely spoiled for choice here and can find everything and anything amongst the stalls. 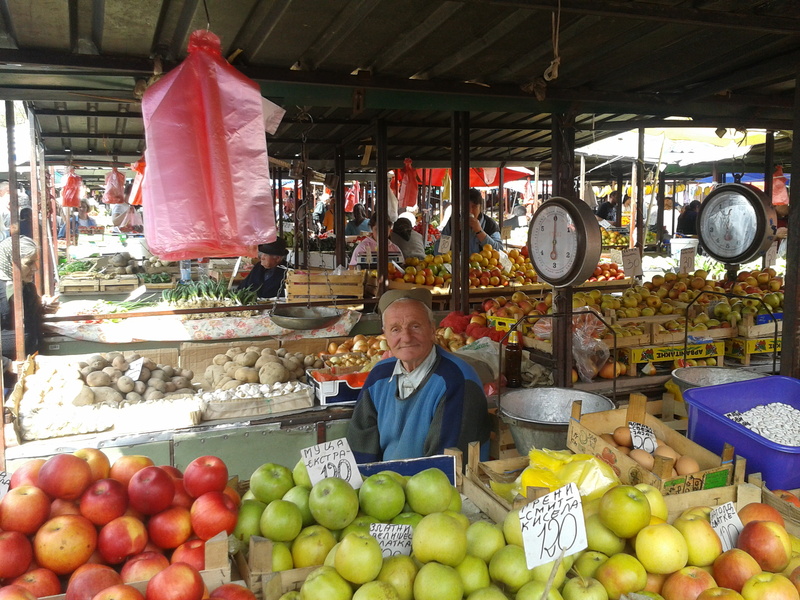 Visiting Bajloni pijaca to purchase fruits, vegetables and cheeses is the best way to start the morning. There are a couple of great cafes close by where you can stop for an early morning espresso! In addition to preparing some authentic dishes, visiting the markets is a great way to connect with the locals, you’re certain to come across a character or two. Some simple traditional dishes you might like to make include proja, gibanica and prebranac.